This is a cream-based product, jam-packed with tiny micro exfoliating beads*. Per instructions, you massage this onto damp skin. I tried it out on dry skin, but it didn't have enough slip to move around my face, so I'd recommend going with EPSA's instruction in this instance. One of my pet peeves about mechanical exfoliators is that they can be a right bugger to wash off, leaving you with micro beads on your face no matter how hard you try to remove them, but I'm happy to report that this does not happen with this product. It also contains Rose Damascena and Shea Butter so those help to soften your skin so you're not left with the dreaded tight feeling you can sometimes experience after exfoliating. 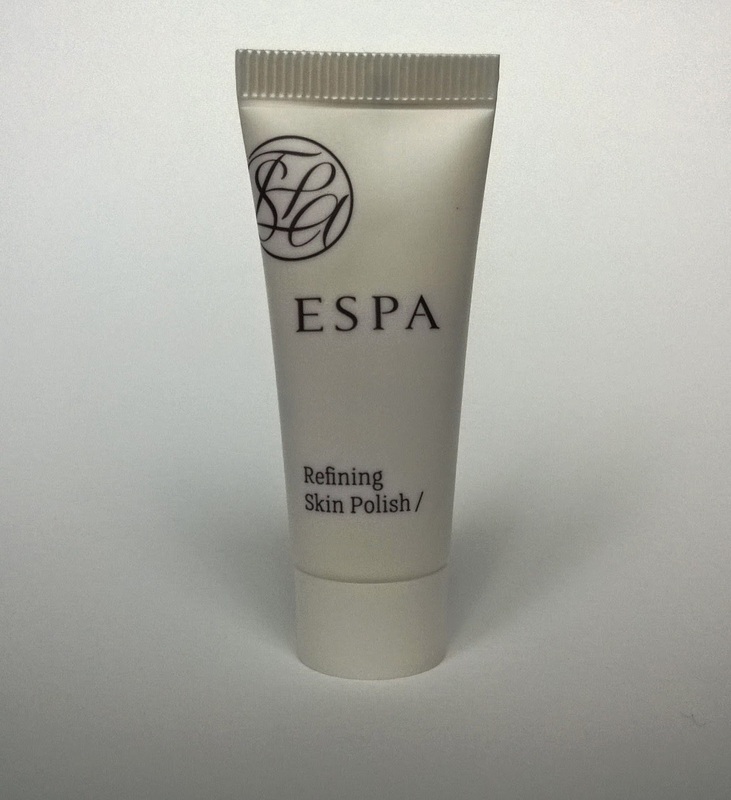 EPSA say that this product is suitable for all skin types and I would probably agree with that, although I can only attest to its efficacy on my own skin. But given how sensitive my own skin is, I believe that this should be gentle enough for everyone. As always I must mention the fragrance. It's not strong per se but definitely noticeable, however it does wear down quickly. Personally I like it but it's something to be aware of if you are particularly sensitive to smell. This is one of the best exfoliators I've used. Gentle it may be but the results are impressive; my skin is properly exfoliated, feels silky smooth and every product that follows, glides onto my face. 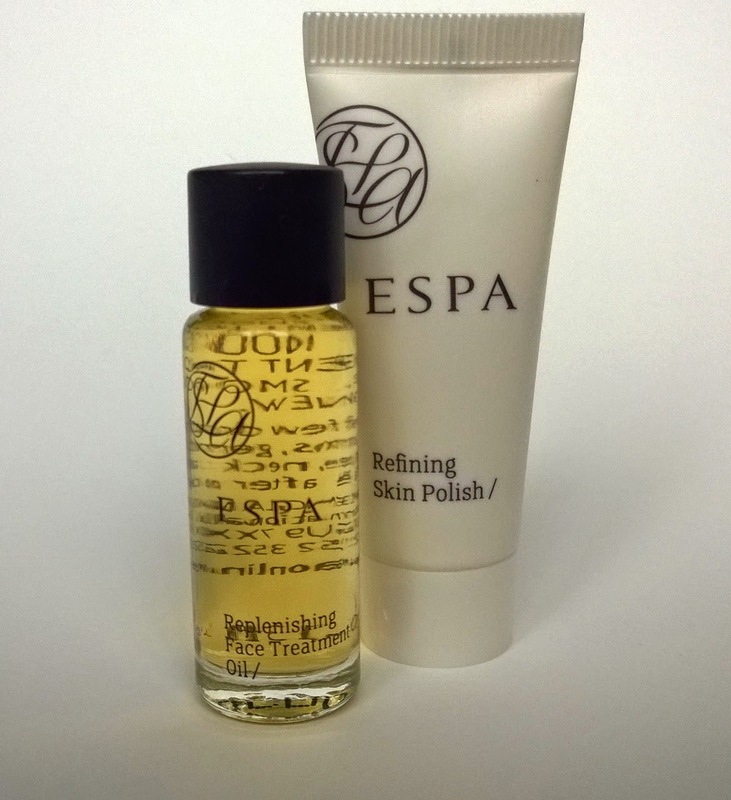 A full sized jar (55ml) will set you back £26 directly from ESPA online (quite a good price for a good exfoliator), and it is also available from Harvey Nicholas. I've used mine (a 7ml sample) around four or five times and it's still going strong, so I imagine that the full size should last you for a good six months at the very least. Now it's time to turn our attention to the Replenishing Face Treatment Oil. I'm a massive fan of face oils. I've been using them for years and I would never ever be without one. My go-to face oil is the Clarins Blue Orchid face oil, it has been part of my skincare routine since, oh forever; I would normally use a face oil around twice or three times a week depending on what I feel my skin needs. The consistency of this one is almost exactly the same as the Clarins one, it feels smooth to the touch and doesn't leave my skin feel greasy. So far so good. Like the skin polish, this is a pleasure to use. It's easy to work into the skin and leaves it feeling really soft and nourished. The fragrance of the oil is stronger than the skin polish - fine for me as I like it, but worth pointing it out in case strong scents on your face is not your thing. One of the reasons I love face oils is that they are fantastic value for money. They last forever! You may see one and think how small that bottle looks but you only need three to four drops of it to do your entire face, so that little bottle will take a very long time to use up. 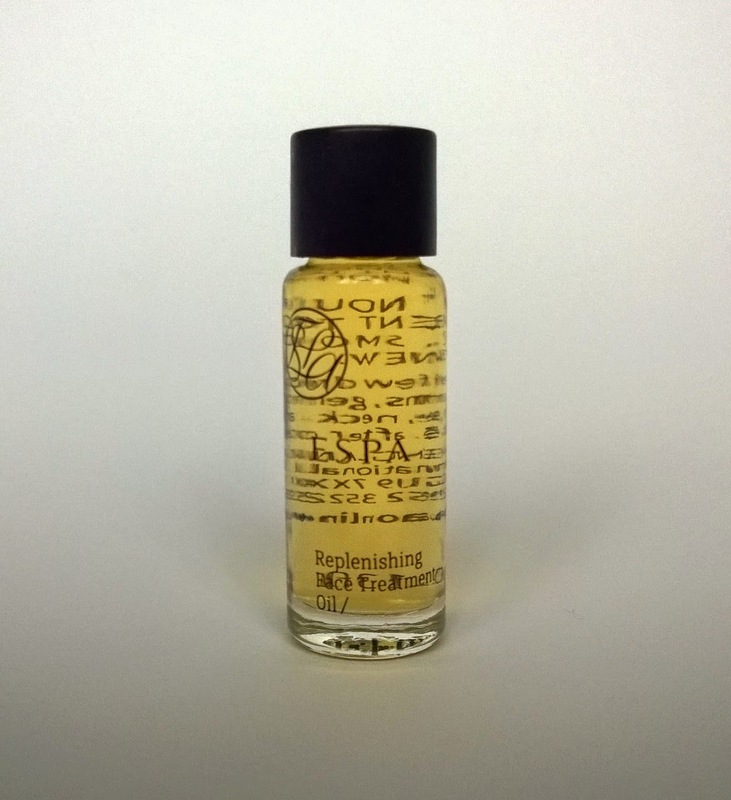 The full sized version of this oil (28ml) costs £55 from ESPA online. I appreciate that's a lot of money to spend on a face oil but given my own usage, I'd estimate that you'd easily get a year or more out of the bottle. I love both of these products; they are not hugely expensive, they work extremely well together or in conjunction with other products/ranges. The skin polish, in particular, has been a gem of a find.